Dining Dish: Man goes berserk in supermarket - take that, pot roast! 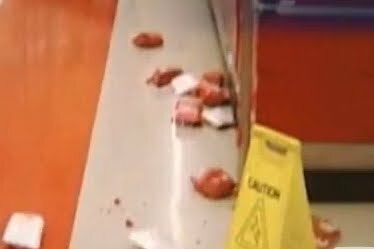 Man goes berserk in supermarket - take that, pot roast! An Indiana man goes berserk and attacks meat in supermarket with a hunting knife. Seriously, a man ran through a supermarket with a hunting knife stabbing meats and throwing them on the floor. Hello, did anyone tell him that the meat was already dead? Read the full story and watch the video: Man goes berserk in supermarket - take that, pot roast!